Does your dental practice have a Social Media Branding strategy? Using social media for your dental practice will allow you to build awareness, show authenticity, and provide support. We will make sure that all of the content being created for your dental practices brand is optimized for both desktop and mobile. Working together we will determine your short- and long-term goals for social media marketing and factor those in when we are creating content. One of the biggest social media platforms is Facebook. 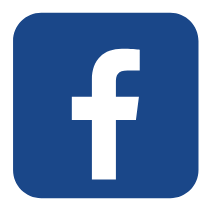 Facebook is a platform that acts as a hub of information for your dental clients allowing you to include information about your practice such as your address, phone number, hours of operation, description of your practice and so much more. Facebook is a great platform that also allows dental practices a variety of different ways to interact with their patients. From Facebook Live, Facebook Stories, photos, videos, written posts, recommendations and boosted posts, your patients will be able to connect with you in a lot of different ways. Having a well-designed and optimized Facebook page allows your dental patients to find information about your practice easily. The messenger feature on Facebook also allows your patients to voice any questions or concerns they may have, where it is very easy for your staff at your dental practice to respond and offer information in a timely manner. In-office updates, services offered, videos and images of the practice are all ideal posts that patients are looking to see from their dentist. Facebook allows your practice the ability to engage more in-depth with your current and potential patients on one of the most popular and most used social media platforms. Twitter is a social media platform that thrives on communication between people. This platform allows you to stay top of mind with your followers, by sending out tweets with image, video or a link to web content. Twitter provides your followers to have a conversation with your practice in a way that feels more informal, allowing your dental patients to feel comfortable interacting with you. This is a great platform for addressing patient concerns, answering any questions, sharing your services or letting your patients know what is going on at your dental office. Twitter is a great platform for reaching a wide audience though the use of hashtags, with the ease to creating brand identity. Instagram is a very visual social media platform, with a focus on photo and short video content. This visual focus is ideal for dentists and their dental practices, allowing you to showcase the beautiful smiles coming out of your practice. Instagram Live and Instagram Stories are other features that will allow you to showcase your brand. The use of hashtags will make your content easier for patients to find, follow and interact with your practice. Your followers will be able to like, comment, tag and repost on your posts, boosting your practice’s awareness and brand recognition. Easily engage your audience, through your images and videos. Your visual feed directly reflects your brands uniqueness and will differentiate your dental practice from the crowd. YouTube is a platform centered around video content. The visual impact that YouTube provides is a great way for dental practices to attract new patients. A variety of different videos uploaded to YouTube allows your dental practice to deepen the level of trust by showing your clients a different side of your dental practice. For each video that is uploaded to your account, we will insert an appropriate title, description and include tags for people who search and watch similar videos. This will help with the optimization, creditability of your profile and increase search rankings by getting found in Google search through the videos tab. Google My Business is your dental practice’s listing on Google. But did you know that GMB has a wonderful feature called Posts? This allows you to stand out amongst the other Google listings, and let people searching for your dental practice better understand who you are and what you can offer them. Using Google My Business posts allows Google to better understand your business, leading your business to being ranked higher in Google searches. The benefit of GMB Posts is that your posts will appear in both search and map results and will encourage new and existing patients to reach out or contact your dental practice. Pinterest is known to be an inspirational social platform. Users collect pins that are used to keep track of long and short-term goals or articles with interesting information. This allows your practice to create pins that your target audience, current and potential patients, is interested in or topics that they may want to research in the future. We will be creating content that will attract people to click on your pins, pin them to their own boards and research further into the related topic; your dental practice. Through the use of hashtags, eye-catching images, full descriptions, URL links, and consistent branding, we are going to ensure that your pins are optimized to the fullest to increase search results and make it easier for your target audience to connect with your dental practice. Pinterest is the platform for spreading brand awareness, as you are able to create boards that directly relate to your dental practice’s services, technology, promotions, products and more. LinkedIn is a platform that focuses more on business and employment services. A profile will be created for your dental practice or updated if one already exists, where your employees will be able to connect with the profile, allowing your clients to see the people who are working for your dental practice. This page will be a great source for your dental practice to post blog articles, industry information, new technology at your office and announcements of new team members. Educating potential patients on your services, products used, technology and innovative methods is a great way to optimize your profile and include relevant information about your dental practice. You will also be able to share any job opportunities that may arise, which will improve awareness of your dental practice on LinkedIn. LinkedIn is a great platform that will help to increase credibility and attract new dental patients. Members of the site can also follow your dental practice to stay up to date with important information. Develop your relationship between your dental practice’s brand and your patients! Social Media Branding is a great way for your dental practice to further develop a relationship between your brand and your patients. Being present in the digital world will allow your dental patients a new way of interacting and learning about their dentist and creating the feeling of a closer connection to your dental practice. This connection builds a foundation of trust between your clients and your dental practice. We look forward to working with you and optimizing your dental practices online presence! For more information on our Social Media Branding services for dental practices, fill out our form below or send us an email. Fill in the form below to request a 30 minute consultation.